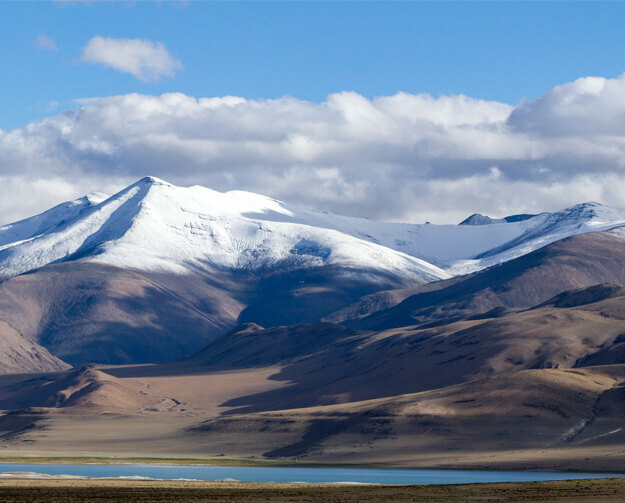 A remarkably diverse country, and the seventh largest in the world, it’s not surprising that India contains some of the most magnificent sites on earth. From awe-inspiring mountain ranges to golden beaches, and from mysterious temples to bustling cities, there’s plenty to keep you occupied. At Azure, our luxury Indian tours give visitors a taste of the best the country has to offer, or you can design your own trip with one of our bespoke packages. Our luxury holidays in India take you to some of the country’s most celebrated architectural wonders. The most famous is undoubtedly the Taj Mahal mausoleum in Agra, which was named one of the New7Wonders of the World in a 2000 campaign. While this white marble monument is certainly one of the nation’s most spectacular and historically significant structures, it’s by no means the only one. India is home to a vast selection of temples devoted to various religions, including Baha’i Lotus Temple in the capital city of New Delhi, the Sikh Golden Temple in Amritsar, and the Buddhist Great Stupa (India’s oldest stone structure) in Sanchi. Meanwhile, the state of Tamil Nadu in the south-east of India is home to the most ancient temples in the country. Visit the Pink City of Jaipur, where you’ll find the Jaipur City Palace, the remarkable, honeycombed Hawa Mahal and the marvellous Amer Fort. Head to the Golden City of Jaisalmer, which is dominated by the imposing Golden Fort. Prepare to be amazed by the artistic complexity of the Ellora Caves near to Aurangabad, a monastery carved directly into the side of a towering basalt cliff. Alternatively, travel to the sacred city of Varanasi where you can admire the beautiful steps leading directly down to the River Ganges. If you’re seeking sun-kissed coastlines, look no further than Goa - home to a variety of stunning shores and a thriving beach party scene. For somewhere a little less lively, head for the golden sands of Gokarna further south or, for more in the way of watersports, make for Andaman to scuba dive, snorkel and parasail to your heart’s content. For a glimpse of a bygone era, travel to Dharamsala, the home of the Dalai Lama and the popular hill resort of Shimla. The city is packed with relics of its previous life when it served as the summertime capital of the British. Another highlight is Darjeeling in the Himalayan foothills of West Bengal. Here, you’ll find the finest tea gardens in the country, as well as the Darjeeling toy train - a unique UNESCO World Heritage train. Meanwhile, the entire state of Kerala holds an abundance of national parks, lakes and waterfalls guaranteed to delight. For the ultimate Kerala experience, you can take a trip on a canoe or houseboat through the state’s peaceful backwaters. These glistening channels stretch north, south and east of Alleppey, and the largest - Vembanad Lake - reaches all the way to Kochi. Wildlife-enthusiasts are spoilt in India. For a chance to spot a tiger, you can visit Ranthambore or Bandhavgarh, or make your way to Kanha, the area made famous by Rudyard Kipling. To catch a glimpse of majestic elephants, travel to Nagarhole or Bandipur, while the best place to see leopards is Bera. To spot an Asiatic lion, head to Gir. Let us help you make the very most of your time in this exotic country by booking one of our tailor-made Indian holidays. Contact us by phone or live chat to find out more.